Giorgio Armani – Kitmeout Designer Clothes – Fashion Blog & Fashion Forum. Fashion personas a dated phenomenon? Are fashion personas a dated phenomenon, Girogio Armani, Roberto Cavalli, Paul Smith, Vivienne Westwood, Yohji Yamamoto and so on… ? Has society move beyond worshipping the cult of the personality and up to a more profound level where style is held in higher regard than the hype generated around a single personality. Maybe the question is even, has the Internet helped fashion evolve from a monarchy (cult of personality) to a democracy? 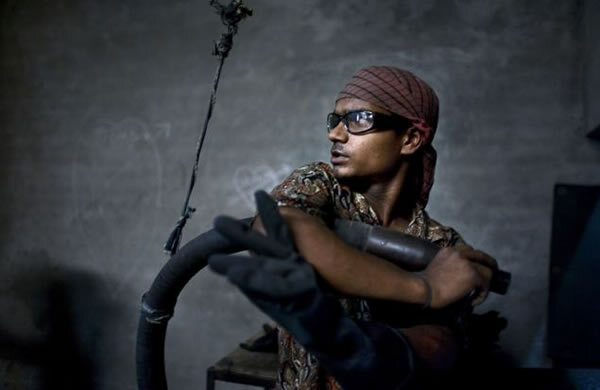 Giorgio Armani has committed to ban the dangerous practice of sandblasting jeans, a technique used to give jeans a worn look which seriously damages the health of workers. 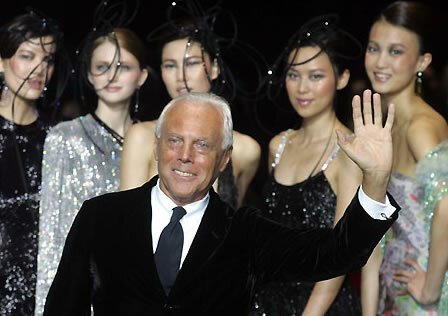 “In regard to the sandblasting finish applied to certain garments, the Armani Group wishes to make clear that this technique has been eliminated from our production processes starting from the autumn-winter 2011/2012 collection that is currently available in the stores worldwide,” Armani announced. 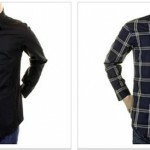 Giorgio Armani is synonymous with quality shirts. Here we take a butchers at some quality gear! 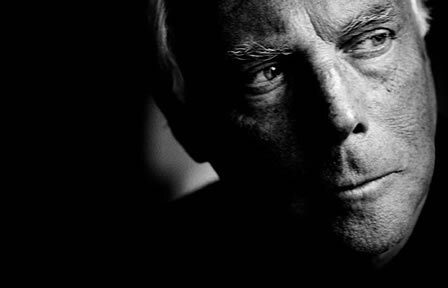 Giorgio Armani was born in 1934 in Piacenza, Italy, an industrial town about 20 miles south of Milan. He was the son of Marie and Ugo Armani. 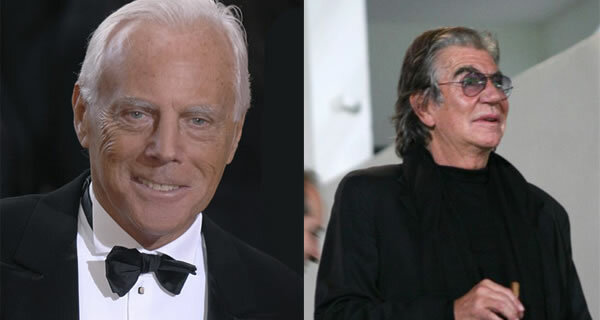 1970 Armani started a company with his friend Sergio Galeotti, who was an architectural draftsman. For five years, they freelanced with various manufacturers and designed for others. 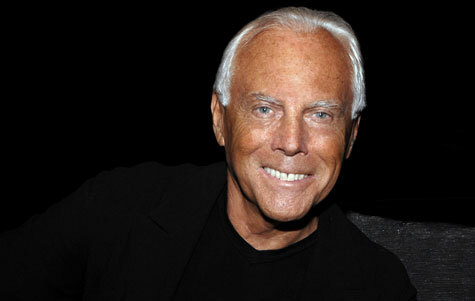 1975 Giorgio Armani launched his own label, the Giorgio Armani Company was born. Today Armani is synonymous with natural elegance. To mix and remix: this key approach that defines so much of contemporary culture is at the heart of this collection. It’s an eclectic process that draws on and reinterprets the classic world of Giorgio Armani. ? ?The presence of the colour grey is important and a determining factor for Autumn/Winter 2011-12, and is expressed in a wide range of nuances…masculine and sophisticated! ?From suits to shoes, from belts to silk printed shirts, flannel transforms and is reinterpreted, giving birth to a mix of innovative impressions.? ?This is never more apparent and clearly stated than in the outfit that opens the show: a beautifully designed and weighty overcoat, teamed with a flannel suit/tracksuit, a shirt in jersey and a tie. ?This fusion of contrasting elements, achieving a well judged balance between the elegant and the casual, combines a clear cut logical code of dress with a total commitment to progressive and contemporary couture for men. Escapism has been a running theme this season, but Giorgio Armani knows that guys still have to work. For spring, he served up a lightweight wardrobe that was varied, of-the-moment and – above all – effortless. With a summertime city slicker in mind, the designer combined classic with casual in just the right doses. The first look out – a crisp double-breasted jacket in linen worn with roomy trousers – set the tone for a breezy take on tailoring. Sport coats – mostly two-button and cut short and tight in classic cotton blends, weightless jerseys or slightly iridescent fabrics – flaunted Armani’s sophisticated, yet light touch. He brightened up his signature palette of beiges and grays with cool blues and touches of citrus yellow, which he applied to suede desert boots, belts, ties and sporty blousons in tech-y fabrics. While some trousers – set high on the waist – boasted his signature pleats, the silhouette seemed slimmer. The finale to this succinct show was a squad of crisp, cool jackets, buttoned-up shirts and easy trousers, giving men a host of reasons to look forward to the weekdays. The finale to this succinct show was a squad of crisp, cool jackets, buttoned-up shirts and easy trousers, giving men a host of reasons to look forward to the weekdays. Via WWD. On February 16th, the night before the premiere in New York of Martin Scorsese’s Shutter Island, Giorgio Armani will host a cocktail party at the Armani Ristorante. Once again, the ongoing revolution in male clothing – a revolution in concept, form and content – is moved forwards in terms of contemporary aesthetics by Giorgio Armani, who rolls out the classic canon of his style with a message of constant elegance. With total self-confidence, a variety of attitudes are expressed through colour, this summer’s star performer, together with oversized graphics that are unmistakably Armani. Indispensable as ever, shades of grey present a virtuoso display of patterns, from shirts in masculine weaves to ties that define the body or at times seem to blend into the background. A succession of stripes identifies the suits, in a game of graphics that extends down to the shoes. The holiday season and long sunny days of summer are evoked by shades of Havana brown lit up by gleams of light and the shimmer of silk on linen. Suits with a city slant appear super-light in pale, luminous colours teamed with lovely loose pieces like the shirt that recalls a small bomber jacket, or the unlined jacket in distressed treated leather. Denim plays a vital role: lightweight and treated, it brings an unexpected dimension to casual suits, which sometimes include a waistcoat. The sky blue tones of the shirts, with micro geometric designs that range from stripes to azulejo tile patterns, emphasise the impact of plain white suits. Majorelle blue is either bright for contrast or faded for a touch of relaxed joie de vivre. For an energetic walk there are lace-up two-tone shoes with rope inserts; alternatively, look for versions in woven leather like Viennese straw, or ankle boots in ray-effect tanned leather. Contemporary with a deliberate sense of shape: a dual approach that transcends that boringly traditional look so often confused with classic style. A new way of dressing in which the choice of fabrics and their combination in different weights results in a totally renewed vision of the classic, a union of powerful fabrics that emphasises the impact of the garment. A fitted silhouette with restrained saddle shoulders defines the formal wear, while the sportswear, with its recognisable urban flavour, goes for soft volumes and suggests warmth without bulk. Even the padded jackets appear light, as though deconstructed, with neat linings in plush pile, while the parka comes in lined leather and the caban in ultra light sheepskin. Colours are mostly dark – including brown juxtaposed with grey – sometimes with a velvet sheen, sometimes with a matt finish, always emphasising the general mood of elegant restraint. Knitwear features tapestry-style mixed patterns, maximising the depth of the colours – the effect is disciplined, and set off by the formal jackets. This duality – dark/colourful, coarse/soft, classic/contemporary – is the key theme running through this deeply considered and precisely designed collection, in which scarves can be worn as shirts to impart vivacity to the formal jackets, while the trench seems to evolve into a cloak. Shoes are as significant as ever, reinstating traditional and chunky shapes in combination with unexpected touches of whimsy, reflecting the personality and individuality of the wearer. Victoria Beckham, Leonardo DiCaprio, John Mayer, Mayor Michael Bloomberg, Caroline Kennedy, Alicia Keys, Ricky Martin, Mira Sorvino, Liam Neeson, Josh Hartnett and singer Solange Knowles were among the partygoers at the opening of Giorgio Armani’s new store on 5th Avenue. Vicky Beckham also repeated her undying love for the fashion monarch: “I have so much respect for Mr. Almond”, she said, as she pouted and fluttered her false eye-lashes with unrelenting girl-power! Surprisingly, Giorgio had to leave the event ealier than expected. The Armani Group announces that Giorgio Armani arrived in Tokyo for a series of events coinciding with the opening of his new 6,000 square metre Armani / Ginza Tower concept store. Located at 5-5-4, Ginza, Chuo-ku in the heart of the world renowned Ginza fashion retail district, the distinctive new building has been conceived to become one of the districtâ€™s most significant architectural landmarks, not only for its construction (reaching the areaâ€™s maximum allowed height of 56 metres), but also for its exterior and interior design, which Giorgio Armani has developed in collaboration with the leading Italian architects Doriana and Massimiliano Fuksas. The imposing Armani/Ginza Tower is the fourth in a series of unique concept stores, which Giorgio Armani pioneered in 2000 when he opened his Armani/Manzoni store in Milan – a destination fashion and lifestyle retail experience, offering his Emporio Armani and Armani Jeans fashion and accessories collections, his Armani/Casa home interiors collection, a Nobu restaurant, an Emporio Armani CaffÃ©, an Armani/PrivÃ© nightclub, a flower shop and bookstore and a fragrance and cosmetics counter. Two further concept stores followed: Armani/Funf HÃ¶fe in Munich and Armani/Chater House in Hong Kong.Â The recently announced Armani/Fifth Avenue will become the fifth concept store, when it opens in New York in Autumn 2008. The 12 floor Armani/Ginza Tower concept store offers both of the designerâ€™s runway fashion collections, Giorgio Armani and Emporio Armani, his Armani/Casa home interiors collection, the worldâ€™s first Armani/Spa, the Armani/Ristorante contemporary Italian restaurant and the Armani/PrivÃ© lounge bar. 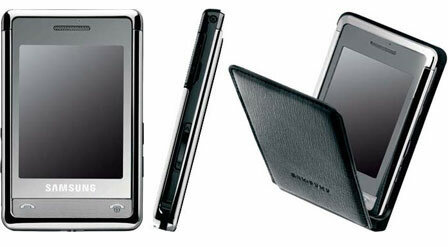 Samsung and Giorgio Armani unveiled the Armani phone (SGH-P520) at Armani’s 2008 fashion show in Milan, Italy. The two companies announced on Thursday a partnership to develop a mobile phone and LCD TV./Newsis. Samsung said on Thursday that it has partnered with Armani to develop fashion electronics, with Armani handling the design and Samsung the engineering. A Samsung official said the companies will debut the Samsung-Armani mobile phone in November, and an LCD TV in January next year. “This powerful partnership will match great design with leading technology to ensure performance is as impressive as appearance,” said Yun Jong-yong, chief executive officer of Samsung. Giorgio Armani a Chelsea supporter? Could you imagine Giorgio Armani standing in the Shed at Stamford Bridge? Probably not but Giorgio Armani has knocked up a sharp new off-field uniform for the West End’s Chelsea F.C. players, which has been available for fans to buy through Emporio Armani stores in the U.K. since Friday. “Mr. Armani wanted to adopt a fresh approach to our suits,” said Mourinho, in the statement. Giorgio Armani Towers in Japan! “Ginza is literally an intersection that is now attracting a diverse and international cross section of fashion consumers who are attracted by the energy and excitement that has been created there.” Giorgio Armani said. 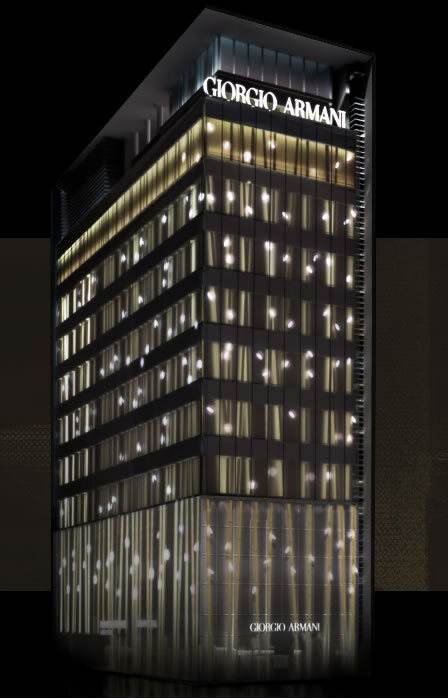 Giorgio Armani, one of the world’s most successful fashion designers, has unveiled his concept for a new Armani/Ginza Tower in the high-profile shopping district of Japan’s capital. The concept is approximately 65,000 square feet over 12 floors and two basement levels. Set to open in November, the space will feature the Giorgio Armani, Emporio Armani and Casa collections, along with the brand’s first spa, an Italian restaurant and a PrivÃ© bar. There also will be showrooms and the new corporate headquarters of Giorgio Armani Japan Co. Ltd.
“She represents perfectly the energy, style and sensuality that inspires the Emporio Armani lifestyle,” added Armani. The armani Jeans Spring Summer 2007 Collection continues to build on the brands growing reputation for foresight and innovation. 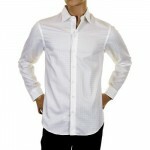 The style is, as you would expect from Armani, clean and sharp with subtle flare. Overall the S/S 2007 collection gets a big thumbs up! The Armani Collezioni A/W 2006 Collection is more than ultimate fashion, it’s true poetry in cloth! Armani has a unique ability to appeal to a broad spectrum of style warriors from couture seeking fashionistas to street-based urban chic strutters. No one is able to credibly knock the Armani brand — it’s pure class however you look at it! Giorgio Armani + Beyonce = Anorexic Unfashionable! “Giorgio Armani, the world’s most famous designer, on Thursday blamed stylists and the media for the fashion industry’s obsession with ultra-thin women. In London to host a music and fashion extravaganza with stars Beyonce, 50 Cent and Bono, Armani said no girl needed to be anorexic in order to be fashionable. A debate about models’ weight has shaken the fashion world in recent days since Madrid banned excessively thin women from its catwalks after accusations their appearance may cause eating disorders in young women. Armani, whose client list spans Hollywood to high finance, is a bellwether for the industry and the most powerful fashion insider yet to speak out on the weight debate. “No one thinks that for a girl to be fashionable she needs to be anorexic, that she must not eat. I will only take on healthy girls,” he said. Emporio Armani + Product Red 4 Charity! Giorgio Armani, a launch partner in business initiative founded by Bono and Bobby Shriver to fight AIDS in Africa. Giorgio Armani recently announced his support at the Davos World Economic Forum of the Product RED, the pioneering global business initiative launched by Bono and Bobby Shriver for The Global Fund. In support of (Product) RED, Giorgio Armani is designing a special Emporio Armani capsule collection comprising clothing, accessories, eyewear, watches, jewellery and fragrances. Giorgio Armani SpA will donate 40% of its gross profit margin from sales of all (Emporio Armani) RED products directly to the Global Fund. The first (Emporio Armani) RED product was a pair of Emporio Armani sunglasses (style EA 9285/S) available in stores from April. Giorgio Armaniâ€™s second RED product will be an Emporio Armani watch (style AR0537/AR0538). The unisex (Emporio Armani) RED watch is striking, casual and subtly rugged. It features a large 43mm stainless steel case with a coin-ridged bezel, a thick leather strap available in either black with red contrast stitching, or red with black contrast stitching, and prominent steel rivets that secure the strap to the case. The large digital dial displays the time in oversized numerals and has calendar, chronograph and timer features with push button controls on the side of the case. The dial also features the (Emporio Armani) RED logo at 12 oâ€™clock printed onto the dialâ€™s outer ring. The (Emporio Armani) RED watch will be available from August in all Emporio Armani stores and in select specialty watch stores and department stores worldwide. Pre-orders for the watches can be made by e-mail at emporioarmaniRED@giorgioarmani.it. 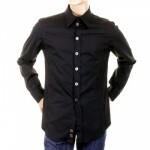 The recommended retail price will be Euro 255 / USD$225 / Â£195. A great many paranoid conspiracy theorists (PCTs) and average Joes and Joettes are conscious of the esoteric order named the Illuminati. The Illuminati is commonly believed to have its roots in the European Enlightenment and it’s believed the order was founded in May 1776 by Adam Weishaupt a Jesuit instructed Professor of canon law. Today there’s a growing belief that the Illuminate is not simply a benign group of intellectuals and wealthy adherents seeking camaraderie in kind but is in fact a malignant entity dedicated to the creation of a one world order in which the masses are enslaved and controlled by “the few”. David Icke is perhaps the most well-known and vociferous campaigner against the Illuminati and he reputedly believes the Illuminati controls humanity via machinations, subterfuge, secrecy, and conspiracy. Indeed, David Icke cites the Holocaust, Oklahoma City bombing, the bombing of Pan Am Flight 103, the war in Bosnia, and the September 11, 2001 attacks as examples of events orchestrated by the Illuminati; Icke believes these orchestrated catastrophes are designed to coerce, control and led the masses into submissive subjugation — to a world in which the Illuminati have complete, unequivocal and unanswerable control over the ignorant masses. Recently it was proposed that Fashion has its own form of the Illuminati. This elite order of “fashion” Illuminati apparently coerce, control and led the masses into submissive style — dictating what is fashionable and thereby excluding free and true style which they consider a threat to their positions of power. Most historic Fashion Houses have been identified as members of this esoteric order and a number of media channels have been accused of being complicit in the conspiracy to control the fashion buying masses. It has been suggested that if we look around us today we will see clear evidence to support this conspiracy theoryÂ as the verve of youth and innovation is suppressed in favor of drab, lifeless mediocrity. On the other hand, perhaps we should not look to blame secret orders for the serious, and not so serious, issues of our time. Perhaps we, you and I, the masses, need to step forward and through our own spirit, determination and desire for change claim a new future built on egalitarianism, inclusive respect and opportunity for all.